Remember those nifty car-shaped USB sticks from carlections that we featured in our previous Father's Day gift guide? Well, they also have car-themed computer mice to match. They're wireless and have a scroll wheel function, plus the LED headlights also switch on when in use. The range includes the new Alfa Romeo 4C, Porsche 911, Nissan GTR, Lamborghini Adventador, AMG C63, plus more. There's something alluring about a car-themed wrist watch, especially these ones, made by Bavarian Crono in Germany. If Dad's a Beemer fan, or besotted with Jag or Beetles, then he's sure to be a happy camper. BC style their watches using details to great effect. The original oil filler cap design is reworked to make the watch crown, the needles make the clock hands, they've used the original font for the speedo numbers and the quartz cover is Ronda Swiss-made with scratch-resistant mineral glass and stainless steel casing styled to look in-period. If Dad has a classic, then he will know how important it is to run the good stuff. Have a look at the range of Penrite Classic lubricants including engine oil, trans fluids and brake fluid. In particular, their Classic ATF is suitable for older transmissions that require Type (Suffix A) or GM Dexron/Dexron II fluid. 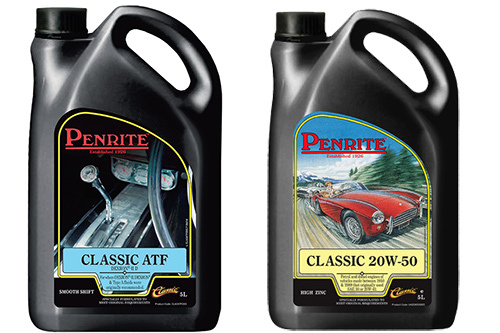 As well as suiting various oddball models from Alvis and Austin to Willys and Wolseley and plenty in between, Penrite Classic also partners Veteran and Vintage ranges of lubricants. It's worth a look at www.penriteoil.com.au under the products menu. You can also contact the Aussie owned company via email at tech@penriteoil.com or call 1300 736 748. 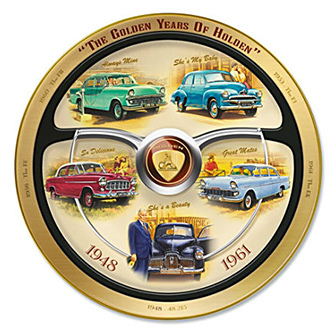 This 22-carat gold commemorative Holden plate from Bradford Exchange has been carefully made by Robert Coady and measures 30cm in diameter - perfect for admiring in the pool room. Any enthusiast of the late 40s to the end of the 60s will love it. Price is $299.95 (plus postage). Or, maybe he's a Ford man. 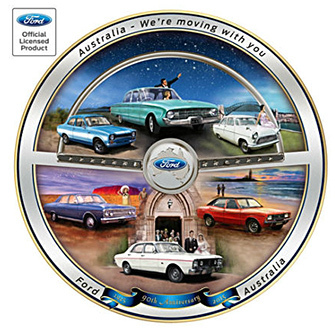 This gallery edition plate is approved by Ford Australia as an official 90th Anniversary Commemorative edition item and is accented with 22-carat gold. It also comes gift boxed. Meticulously depicted by famed auto artist Wayne Dowsent, the iconic cars are designed around a steering wheel motif which is on a layer of pure silver. How hard can it be to build an American sports car? Very. The long, compelling tale behind the Corvette development makes this particular book a very useful edition to the Unique Cars library. 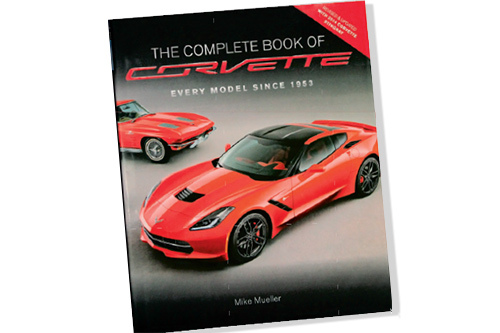 The Complete Book of Corvette – Every Model Since 1953, was published in (and covers cars to) 2014–meaning all seven generations to date. Author Mike Mueller keeps it readable, despite the wealth of detail covered. Publisher Motorbooks offers 300+ glossy pages in a coffee-table size that’s great value at $70. Our copy, which makes it hard to get work done, came from MotorBook World in Melbourne. 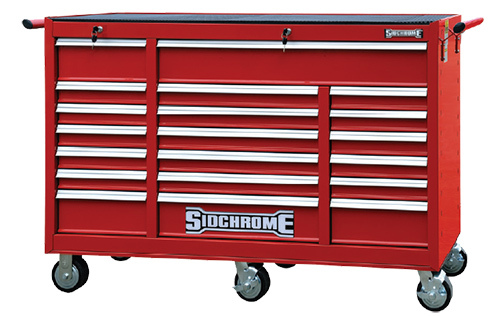 The new tri-bank rolling cabinet bench from Sidchrome has 20 drawers for storing every nut, bolt and money wrench Dad's accumulated over the years. Each drawer has ball-bearing returns with spring-loaded slide arms. They've used heavy gauge steel to make it and even a shiny epoxy polyester powder coating with PVC handles for durability. At 1450mm wide by 459mm deep and just over a metre high, it's a decent size and a perfect fit. Find more Sidchrome hardware, info and stockists at www.sidchrome.com.au or call 1800 338 002.